The wolf population on Isle Royale National Park in western Lake Superior is facing the possibility of extinction, according to a report released today. 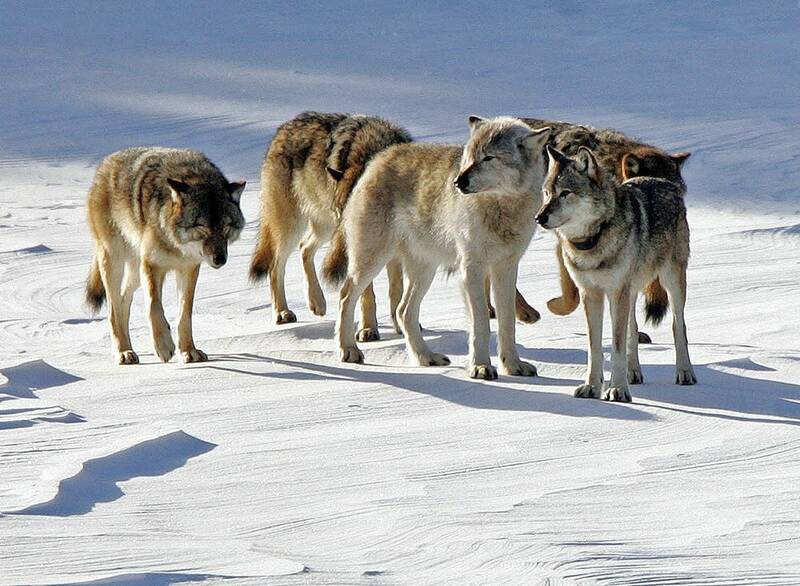 Only nine wolves, including just one female, currently live on the island. 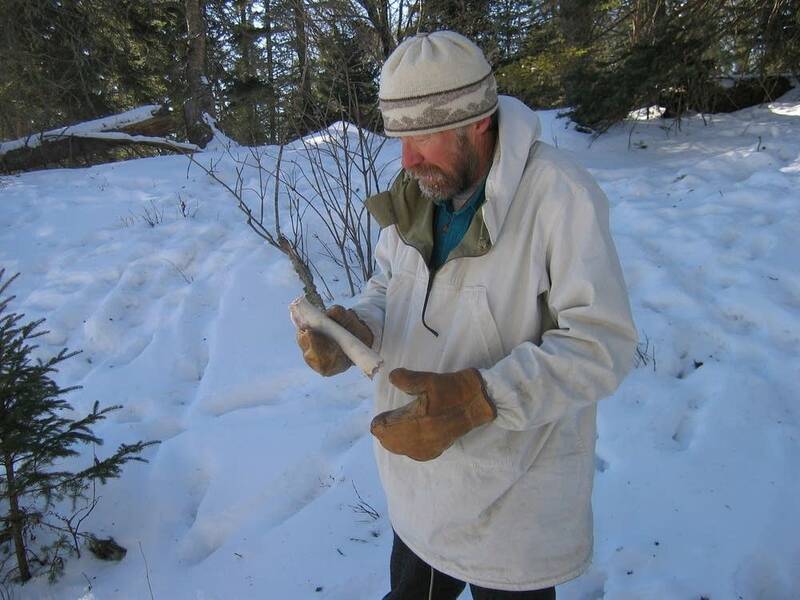 Michigan Tech University wildlife biologist Rolf Peterson has studied the wolves on the wilderness island chain for more than four decades. Peterson spoke about the challenges facing the wolf population with Tom Crann of All Things Considered on Friday. An edited transcript of that discussion is below. Tom Crann: Why are these populations so closely watched for such a long time? Rolf Peterson: Isle Royale National Park provides a near ideal outdoor laboratory ... to look at predator [and] prey relationships in a fairly simple system where there's just one predator and one prey species. Crann: Wolves arrived in Isle Royal 60 years ago or so? Peterson: In the late 1940s the current population was established. Crann: The wolf and moose populations have been interconnected pretty much since then? Peterson: Wolves are totally dependent on the moose and the moose likewise are controlled by wolf predation. In the 50 years before there were wolves present on the island, there were moose and they were uncontrolled by anything except starvation, so they went through a boom and bust cycle of rapid increase and then massive starvation. Crann: The report out today says there are eight males and one female [wolves] left. Peterson: There's one female for sure, we can't confirm any other females in that population of nine. We're quite sure of the nine and we're quite sure there's one [female]. Oddly enough, the major pack showed no indication of a female being present whatsoever. Crann: Is that situation as dire as it seems? Peterson: I think if you're a wolf it is. Crann: Why do the wolves find themselves in this situation? What's happened that the population decreases like this? Peterson: The population has been genetically isolated for most of its 60 year history. We did have one new immigrant that arrived in 1997, which really perked up the population. That was a good demonstration of how genetically compromised these wolves were. There's a common thread of genetic losses that underpins most of their problems. But there's several things that are effecting wolves. There's a relative shortage of old moose, which wolves rely on for their food. There's the re-arrival of canine parvovirus on the island, and that had been absent for 25 years. Then there's the ... random roll of the dice, which produced this lack of females. Crann: The National Park Service is considering intervening in some way. What could be done? Peterson: There could be some things that could be done before extinction. New genetic material could be brought in, in the form of new wolves. Females could be dumped off — they'd probably be greeted with open arms by most of the wolves there now. But there's a long tradition of non-intervention at Isle Royale. Among all the national parks, that non-intervention strategy probably has worked best at Isle Royale. Another option would be to let the wolves do the best they can and if they go to extinction, consider whether it's appropriate to reintroduce wolves at that point. Crann: Given the policy in national parks of non-intervention and the history there, could you see an exception here being made and maybe some females introduced in order to keep this population going? Peterson: It would make just as much sense and maybe be a little more consistent with policy to not intervene until extinction occurs. My recommendation, all things considered, would be to restore wolves to the island [after extinction]. But there are well known geneticists who would argue that they should be genetically rescued now, and that restoration after extinction might not work quite so well. So, there are some different points of view out there, even among scientists. Interview transcribed by MPR reporter Jon Collins.